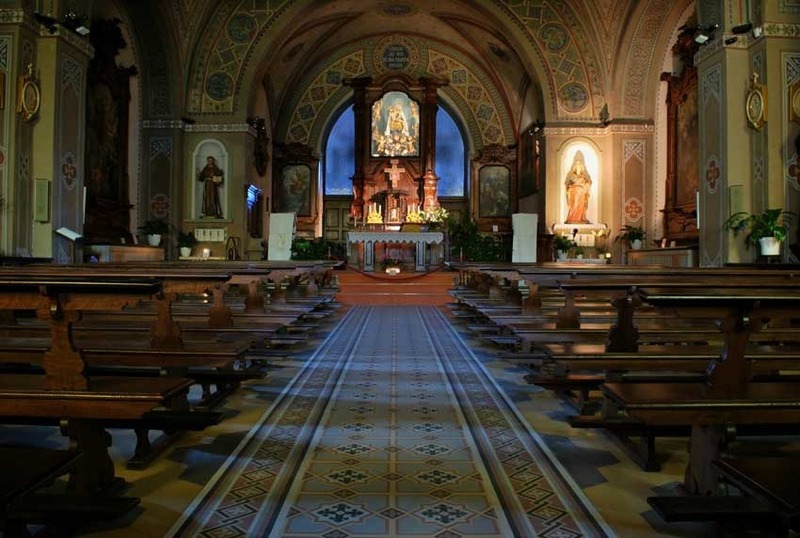 Planning a catholic wedding on Lake Orta is like planning a dream that comes true in heaven! In every season the town of Orta offers a beautiful background for Catholic wedding ceremonies. The island of San Giulio, a sacred island, is just a few minutes on boat from Orta, set like a jewel in the magical blue lake. 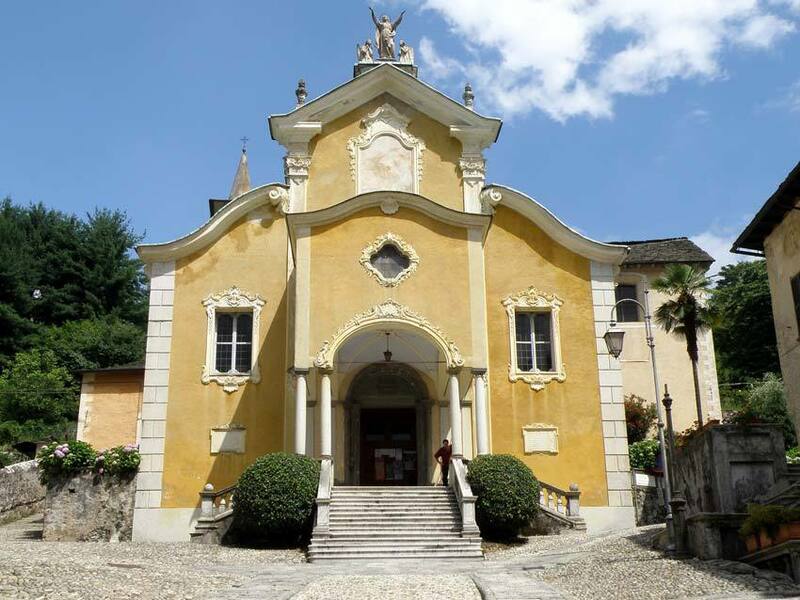 Catholic ceremonies in Orta can take place in the beautiful 17th century church in the heart of town or in the Church located just out of town on the Sacred Mount of Orta. 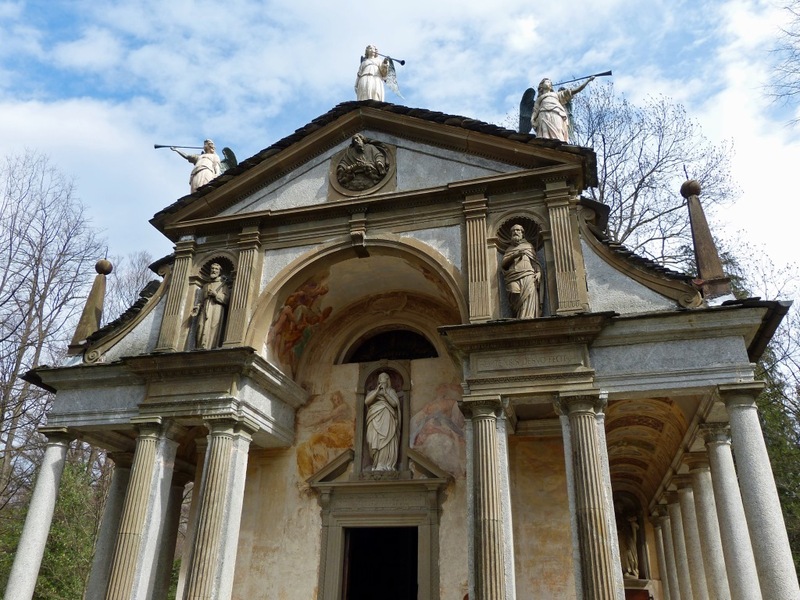 The enchanting frescoed 17th century church is located on a promontory at the end of the stone pathway that begins on Orta main square. From the Church people can enjoy the most extraordinary view of Lake Orta and San Giulio Island. The façade of the church has delicate pastel colour and white stuccos while its interior has wonderful frescoes. In the town of Orta everything is walking distance therefore a short stroll takes you from the hotel to the church and then to the restaurant. The other Church where weddings for non residents are allowed is located in the Orta Sacred Mount, a few minutes from the village. The Sacred Mount with its 20 chapels is dedicated to St. Francis of Assisi, the pathways and the Church are simply extraordinary. The area of the Sacred Mount is now a protected National Park. Chapels are built like a village among walkways, woods and wildflowers. The Church is only surrounded by nature, by silence, by birds singing and again by silence. In both churches, catholic + civil weddings are allowed. Both churches can hold large groups but smaller groups will find them intimate anyway being both so romantic and set in such an enchanting place. The best period goes from April to October but weddings are celebrated all year round.